After the enormous success of my home made 'washi tape' on a tag (see HERE), I decided to see if I could use the same technique to create the background for a card. I am always being asked for masculine cards, so went with a palette of blues and greens. I think it worked out perfectly, but let me know what you think. Once again, I started by laying down strips of masking tape on my glass mat; two strips of narrow (2.5cm/1") and one strip of wide (5cm/2"). Each strip was about 35cm/14" long. I gave the wide strip a coat of Salty Ocean Distress Oxide and then stamped over it using one of the Ledger Script stamps (all stamps used were designed by Tim Holtz for Stamper's Anonymous) in Paradise Teal Archival ink. For the next layer I used Cobalt archival ink and the typewriter keyboard and date stamp from Documented. Finally I added one of the Classic #6 stamps in Library Green, one of the Slight Alterations stamps in Vivid Chartreuse and one of the Leaf Print stamps in Manganese Blue. The first strip of narrow tape was coloured with Peacock Feathers Distress Oxide and stamped with two of the Classic #6 stamps in Garden Patina. Next, came a layer of Forget-Me-Not using the typeface stamp from School Desk. Finally the other Ledger Script stamp was added in Cobalt Blue. The final narrow strip was left uncoloured and stamped in Leaf Green using another of the Leaf Print stamps. A Mixed Media stamp was added over the top in Library Green. Finally, a layer of Vivid Chartreuse using the typeface stamp and another Leaf Print in Aquamarine completed this strip. For the card background, I cut a piece of Sheena's stamping card to 13.8cm x 13.8cm and added strips of the tape from top to bottom, alternating colours. At the bottom, the remaining piece of wide tape was trimmed down and the left over pieces added to another piece of card 7.2cm x 6cm. The remaining piece of narrow tape was added to the background at right angles to create further interest. For the base card, I trimmed a piece of A4 white linen card to create a 14.8cm x 14.8cm card blank. The toppers were edged with Cobalt Archival ink and matted onto pieces of dark green paper. The main background was then added to the card. The smaller topper was matted onto white card and a Happy Birthday die (Die'Sire Classiques Only Words from Crafter's Companion) cut the sentiment from white card to finish off. Foam pads were used to add the sentiment topper to the card. A Journal Page of Joy! WOYWW 451: Hurry Up and Craft! WOYWW 450: I Could Never Resist A Bargain! Bubble Tag: As seen on TV! 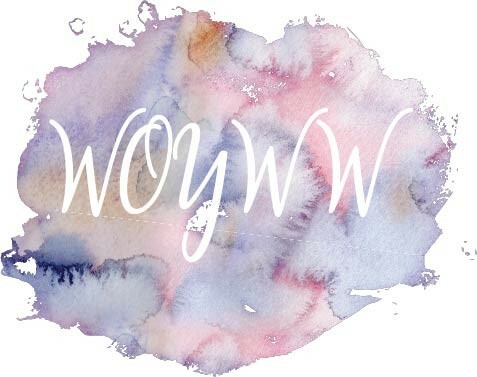 WOYWW 448: Making the Most of Mop Ups!